Unheard of features, cutting edge cameras and loads of cool additions to the T-Mobile LG V10 definitely makes it the best ever LG Android phone but does it pack enough bang for the buck to be crowned the smartphone king of 2015? When the first Galaxy Note Edge came out, it was revolutionary for introducing that little bit of extra side effects on an entirely separate screen area. The same concept got drafted into the cool S6 Edge series too and now LG has decided to bring out its own second screen in its latest iteration the LG V10 with the second screen placed right on top of the main alongside a couple of selfie cams. Yup, the V10 has two front cameras and two separate screens! From an enthusiast’s point of view, it is an absolute monster with loads of RAM, a gigantic battery, massive screen and a body meeting military standard certification for transit drop test. The V10 does however share the same camera gene markers as its previous G series siblings but that is where the comparison ends and the future of smartphone technology begins. Question is, does all this justify picking up a LG V10 over all other phablets? Here’s a little taste of what it’s like. Considering how LG’s flagship G range has morphed over the years, I was expecting a slight renovation in design and probably some amount of size modification, at best. I was completely wrong. This phone is actually a different beast altogether. Impeccably built, it is designed to take some punishment although, at first glance it may not be that obvious since the V10 is so clearly a luxury device as well. 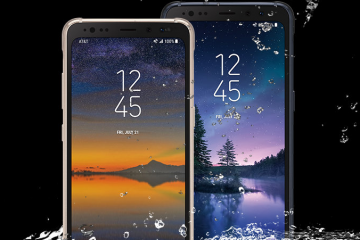 The phablet sized phone features a frame that mixes together stainless steel, plastic and rubber to create something that can withstand abuse like no other consumer grade smartphone in the market today. Everything about this phone boasts of a tighter fit and sharper polish. Even with a blend of materials, it does look and feel like a flagship product. The internal frame or body of the V10 is made from rugged 316L stainless steel, which also extends out to the sides of the phone with a brushed finish for that upper class appeal. 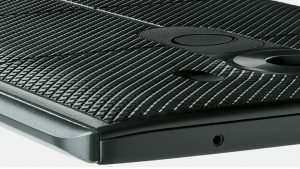 “Dura Skin” is what LG calls the rest of the body material and it is supposedly a blend of plastic with rubber to create something quite similar in texture to silicone. This mixture is apparently 10 times sturdier than aluminum and twice more abrasion resistant than plastic. Add to this the stainless steel chassis and you can understand why it got the military standard certification for the transit drop test. The Duraskin coating is resistant to dust, fingerprint smudges and even abrasions caused by sharp tools or table edges. Other than its protective qualities, it does make the massive phone easier to hold on to. Did I mention that grasping this phone feels like holding soft leather? I am not sure if I have ever held a phone and felt confident of never accidentally dropping it. Well, with the V10 you immediately get the impression that it calls out to be caressed and cradled. But if you do drop it? The military-grade construction ensures your phone will survive. 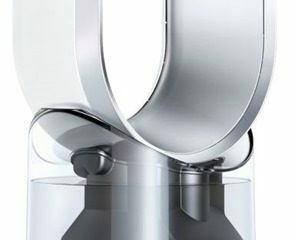 The protective features of its unique design elements do not stop there. The V10 even incorporates dual layer into the glass display. 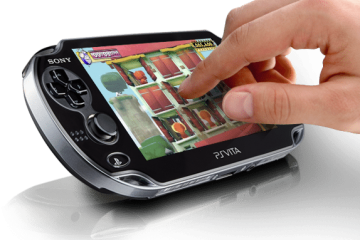 In layman’s term, the touch sensitive quad resolution glass screen in placed underneath a protective thicker glass layer. To the end user this safety feature is not at all evident and neither does it detract from the overall usability. 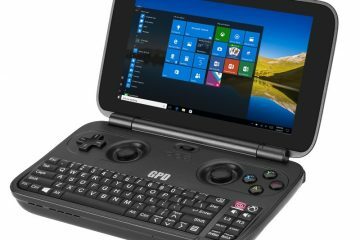 And finally, carrying over from the G series, the V10 packs in back mounted buttons naturally placed so your forefinger sits comfortably on it. Also, the fingerprint sensor is actually placed inside the power button, which makes better sense. At a whopping 5.7 inches, the V10 really does have a massive screen area. And while the G10 felt surprisingly compact with a 5.5 inch screen, this illusion is shattered with the 5.7 inch massiveness of the V10. Single handed operations come with a learning curve and if you aren’t an ardent fan of large screens then you may feel a slight disappointment. But if large screens are your weakness then be glad knowing that this phone packs in a second smaller screen on top of the already massive main 5.7 inch touch area. Basically, the screen is a great quad HD IPS panel with pretty deep blacks and vibrant colors. In fact, outdoors under sunlight, you can go quite bright, so using it in direct sunlight should never be a problem even if you are in the middle of the Sahara Desert. Personally speaking though, I would have preferred the same quality delivered using an AMOLED screen – in my opinion they tend to have a livelier feel and look as opposed to IPS displays. Coming to the second screen, I take it this design introduction was prompted by the edge series from Samsung but I am yet to be sold on the concept. While it is quite handy allowing me easy access to my favorite apps or recent apps and many other things, it isn’t an addition that is an absolute must have in my books. Having said that, I can understand how some folks might actually get hooked to the 2.1 inch top display concept. And while LG claims that this screen has a separate display controller, you won’t actually feel it. At best, there is a separate backlighting for this panel so when the main screen is off, only this top portion (actually about the top quarter of the displays combined) remains illuminated. To me this looked a little odd and took some getting used to. Once again I have to point out the lack of AMOLED – this would really have made the screen scream for attention. Now if you are thinking that such a large screen and the addition of a secondary display area will make it more flimsy or prone to cracks, need not worry. LG is convinced that its beast can survive corner bumps better than any other device. Frankly, with all the protective measures put into place, I would be less worried dropping the V10 as opposed to the S6 Edge Plus, which really does feel flimsy in comparison. The second screen measures in at 2.1 inches and is an always-on mini display. LG says it gives you information depending on your needs and is completely customizable to one’s unique requirements. Remember the G Flex 2 and the G4? A subtle downward swipe on the sleep screen would give you the date, time and notifications. While this was handy it wasn’t something I preferred relying on all the time. Think of the V10’s second screen to basically be the same with some minor modifications and a personal display area. To activate it you still need that small downward swipe. In the sleep state, turning on the second screen reveals quick access for flashlight, Wi-fi and the camera. But in the unlocked state, the functions on the second screen changes into user defined ones. 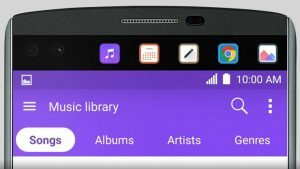 LG says this will help in multitasking as one can set music controls, calendar entries, contacts and other shortcuts here. While I am not that big a fan of the second screen, one useful outcome is that notifications while playing a video, game or using some app no longer comes sliding on top, covering part of the screen. It is now displayed on the second screen leaving the entire 5.7 inch surface area distraction free. Unfortunately, for all other functions of the second screen I have gotten so used to swiping the screen down for notifications or using the inbuilt Android App switcher that I tend never to exclusively use it. Finally, some excitement for audiophiles who have complained that smartphones tend to concentrate too much on the camera and display forgetting to give a better sound experience. The V10 packs in an amp with a 32-bit DAC, which is probably a first in the flagship segment. Audio experience is that much crisper as opposed to any other competitor and it even makes a slight difference when streaming music. Moreover, headphones no longer feel underpowered thanks to the built-in amp. Coming to the speakers, they aren’t exactly path breaking. Not that they sound distorted or tinny, it is just that they aren’t loud enough. Thankfully, they are quite clear. I guess HTC still rules the roost when it comes to speakers. Even the Nexus 6 sounds a lot more audible. This all boils down to the unwillingness of LG to opt for front firing dual speakers. But then again, this would increase the overall screen front, making it larger than it already is. The V10 rear camera borrows the sensor from G4, which means it should take nothing less than fantastic photographs. In fact, in the flagship niche, the V10’s 16MP camera is by far, the best. Photos are glorious with lots of details and knowing the G4’s camera performance, you can expect nothing less than superior low light snaps. However, it is the software or the features of the camera that does raise a few eyebrows. To start with, the auto-shooting mode isn’t spot on. Furthermore, high-contrast scenes tend to muddle the bright zones a bit. 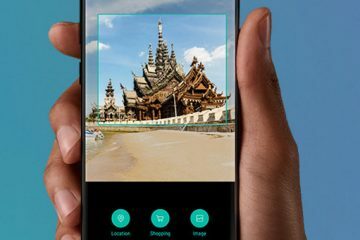 Thankfully, the V10’s camera settings can be manually modified so if you understand photography and can troubleshoot, this smartphone camera really is a techie’s dream albeit not with the best preset controls. 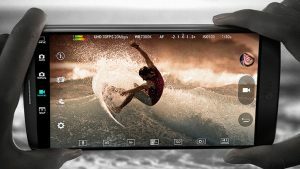 Speaking more on the manual mode, the interface and options are designed to be as noob friendly as possible but you still need to understand what each control achieves. With perfect command on every aspect of photography, it is no wonder that the V10’s videos and pictures stand out from the rest. A point to note here, low light is where the V10 really does excel. And this is in comparison with the iPhone 6 Plus, which till now I felt gave the best low light shots. Remember we mentioned earlier that this packs in two front cameras? Yes, not one but two side by side! Each has its own purpose and are both 5MP shooters. One takes single selfie shots while the other is actually a wide-angle lens designed specifically for group shots. To use either, you now toggle between the three cameras and video mode until you get to the right one. While both the cameras do perform admirably in their specifically assigned roles, it does beg the question as to whether a single camera with wide angle lens would not have sufficed. In my zeal to figure out which of the two is more picture friendly, I felt the wide-angle lens caught a more natural scene. In fact, I don’t think you will be using the single selfie shot too often unless you really like using a selfie stick. As for timed shots, the LG V10 does include “Gesture Shot”. So like before you simply clench a fist to start the three second countdown. If for nothing else, then do consider the LG V10 for its superior pictures and brilliant video clarity. This certainly is one aspect where it is miles ahead of the competition. Staying current with the times, LG introduces a fingerprint sensor mounted in the power key on the back side. This is a major addition considering LG had never previously given a fingerprint sensor unless it was the Nexus series. 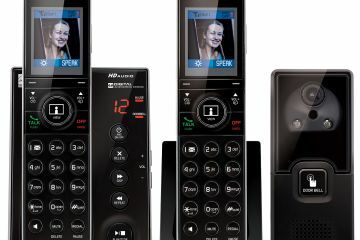 Like in the G series, the back panel features a button just beneath the camera lens and depressing this button instantly reads your fingerprint to unlock the screen. It is actually rather comfortable using the fingerprint sensor. I felt it more seamless and intuitive compared to the home button scanner parceled into the S6 Edge series. Being a stock android aficionado, I certainly don’t like massive interface tinkering. LG’s software does just that and while I don’t personally appreciate modifying the way the settings appear or are located and operate, the overall experience is thankfully smooth and quick. However, the design is a bit inconsistent. Talking of settings and software design, I thought only the main settings menu was a bit messy. Turns out, the settings for the second display are more so. It does take some getting used, no question of it but nothing that a little relearning can’t achieve. Android 5.11 comes preinstalled and on top of it LG plasters its own proprietary interface. Some annoying quirks with the LG V10 are its larger app icons and the odd way font sizes and overall DPI is configured in the settings. Either they appear too small or too large, never the right size that I want them to be. Add to this, the fact that each app decides its default size so your overall size setting may be right for some apps and totally irritating for others. This begs the question as to whether the second screen has messed things up a bit here since this problem was never really present in the G series. I was already satisfied with the performance of the Snapdragon 805 processor so knowing that the 808 in the LG V10 is a hexa-core upgrade with superior performance benchmarks helps further make my case. 4GB RAM together with its blistering fast processor makes this LG a rocket ship. Regular tasks, navigating through the OS, gaming, messaging or maybe doing many of these things at once alongside the background processes do not put any strain on the hardware. Besides, with impressive 3DMark, Quadrant and Quadrant 3 scores, you can rest easy knowing that this smartphone isn’t just a beauty but also a beast underneath. No matter the offerings in any smartphone, I hate it when it lags even for a split second. This is a major turn off for me. I am glad to report that the LG V10 is anything but sluggish. So, coupled with its awesome cameras, it is a definite must have for those fascinated with technology and those who hate waiting. Lately, lots of flagship models doled out goodies in the form of camera, screen, processor and so on but few actually work on the most basic of requirements – battery life. 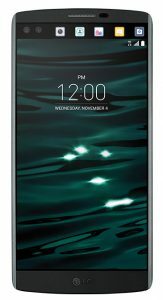 The LG V10 impresses with its battery life, which is no small feat considering the massive quad HD screen, cutting edge hardware and power hungry cameras. 3000 mAh removable battery gives the LG V10 the highest battery capacity in the flagship niche (40% more than its closest competition). Oh! And for those who hate not being able to replace their batteries without visiting a service center, LG has reaffirmed it’s commitment with replaceable batteries so you can keep a spare with you at all times if you are a globetrotter with limited availability to charging points. The LG V10 comes nicely packaged along with a white charger (weird since the phone I got is black – cost cutting maybe?). And something to make everyone happy is the microSD card slot hidden inside the back cover. Yes, LG continues to offer users the chance to upgrade their storage space to a maximum of 2TB. 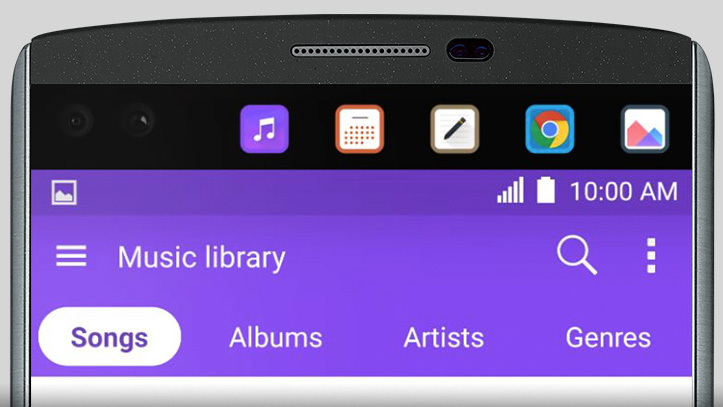 With that kind of storage possibility, you can probably take your FLAC music collection, photograph albums and full HD videos on the go and yet never run out of space. Wireless charging appears to not be possible with the phone as their NFC antenna covers a good deal of the back cover – but perhaps someone will engineer a third-party solution there. The only really big issue appears to be that LG made a small mistake with the size of the fonts and icons. They appear about 10% too large for a phone of this size. I’ve asked LG about this, with no answer, and talked online with others. The consensus, at the time of this writing, would seem to be that LG set the screen density based on the actual size of the screen (which would include the secondary display at the top – making it about 6″ or so) rather than the QHD main screen’s size of 5.7″. It’s a minor quibble – and hopefully they’ll correct this in their Android 6.0/Marshmallow release. A massive screen size, almost shocking to hold and the addition of a second screen does make it a bit of a monster. However, the superb camera, splendid body design and durable materials together with its removable 3000mAh battery & 2TB microSD card slot earns my commendation. And, don’t forget about the fingerprint sensor or its 808 processor with 4GB RAM. Yes, by all means this is the smartphone that you must upgrade to if you want to be future proof and yet classy. 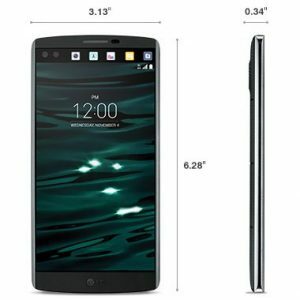 Just remember that it is a phablet and not exactly a compact – as long as the size isn’t bothersome, you will be more than happy with the LG V10 – the beauty and the beast.